Songs As Christmas gets closer, I am starting to get into the holiday spirit more and more each day. I’ve written my cards and put up the tree. The house has been decorated and I have gotten almost all my shopping done. However, I have not tackled any wrapping of the gifts yet. That is such a tedious and very long job to me. It is one of my least favorite things to do during the holiday season. But when I do start my wrapping, I am definitely going to listen to David Archuleta’s CD, Christmas from the Heart. It has become my favorite holiday CD, and I know it will help get me through all that wrapping. When I put it on and hear the strains of David’s golden voice, I will start to feel the stresses of the holiday season melt away. I know David’s voice not only calms me, but it has a way of getting into my soul, especially as I listen to him sing the holiday songs. There is one song in particular that when I hear it, I feel an immediate sense of peace. It is a Christmas carol that has been sung by many popular recording artists for many, many years. But to me, David’s version is the most beautiful and powerful one I have ever heard. “Silent Night” is a very well known Christmas carol which has been recorded by more than 300 artists over the years, and it has been translated into more than 44 languages. The original lyrics of “Silent Night” were written in German by the Austrian priest, Father Josef Mohr in 1816, titled “Stille Nacht.” The melody was composed by Austrian headmaster Franz Xaver Gruber in 1818 for a Christmas Eve service performed in the Nikolaus-Kirche (Church of St. Nicholas) in Oberndorf, Austria. In 1859, John Freeman Young published the English translation that is most often sung today. 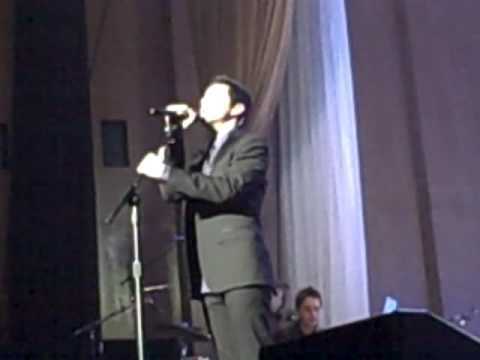 The first time I heard David sing “Silent Night,” it was an a cappella performance that he did a little over a year ago in Hollywood, California, during a Christmas tree lighting ceremony. I remember when I heard it, I was absolutely blown away. It was so powerful and David sang it perfectly. It came straight from his heart! I was so happy that David recorded the song “Silent Night” for his new holiday album. But after hearing him sing it a cappella last year, I wondered what the recorded version would be like. Needless to say, I knew I would not disappointed, and I was right! Here is David’s recorded rendition of “Silent Night” from his holiday CD, Christmas from the Heart. Produced and arranged by Richard Parkinson and Sam Cardon for Jive Records. Silent night! Holy night! All is calm, all is bright! Silent night! Holy night! Son of God, love’s pure light! Radiant beams from Thy holy face! 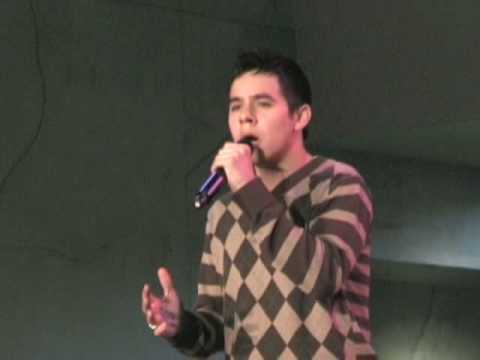 And now a ‘live’ version of David Archuleta singing “Silent Night” from his current Christmas tour. Again, you can find many versions of this profoundly beautiful song. But for me, there are none like David’s heartfelt version of “Silent Night”. He feels the words and the music and interprets it so amazingly, that you feel it with him. Have a nice week everyone and as always, take care. Nice article Katie. Thanks for the walk down memory lane with the video from last year’s performance of Silent Night at the Hollywood Tree Lighting – was and still is my favorite Archu-event. I was there for the tree lighting performance when he sung Silent Night. he was absolutely breathtaking and I was amazed again when he sung it on his CD and live at the concert I went to a few days ago. I never thought it was possible but he seems to get better and better every time I hear him sing.